The North Carolina Aquarium on Roanoke Island was originally founded in 1976 as the North Carolina Marine Resources Center, along with our sister facilities at Pine Knoll Shores and Fort Fisher. In 1986, the three facilities were renamed Aquariums, and we were joined by Jennette’s Pier in Nags Head in 2011. The state of North Carolina owns the Aquariums and Pier, which are administered by the Department of Natural and Cultural Resources (NCDNCR). 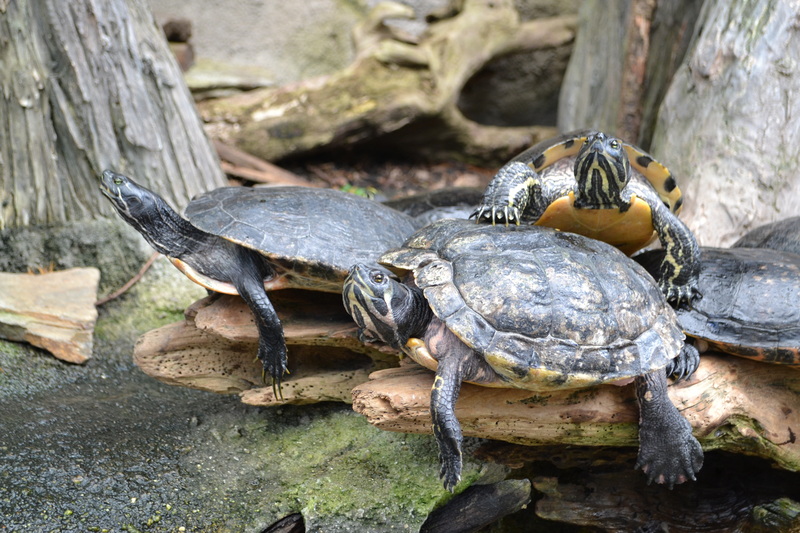 Located on the Outer Banks, three miles north of Manteo on Roanoke Island, the Aquarium is an educational attraction focused on “inspiring appreciation and conservation of North Carolina's aquatic environments.” The Aquarium is accredited by the Association of Zoos and Aquariums (AZA) and in 2015 was awarded the AZA Quarter Century Award for maintaining accreditation continuously for 25 years or more.